Understanding cultural context when consuming media created in other countries is a concept I’ve really learned to keep in mind in the past few years. In particular, learning about the collectivist culture prevalent in many East Asian cultures has helped me comprehend certain ideas that seem regressive or alien compared to what is normalized in the U.S. In particular, the rigid standards on physical appearances tend to come off as rather harsh compared to America’s “body positivity” movements of recent. Today, I’ll be reviewing a particular josei manga that explores this aspect of Japanese culture and still manages to be relevant despite being published 18 years ago. In Clothes Called Fat was originally published in Shuukan Josei magazine back in 1997. 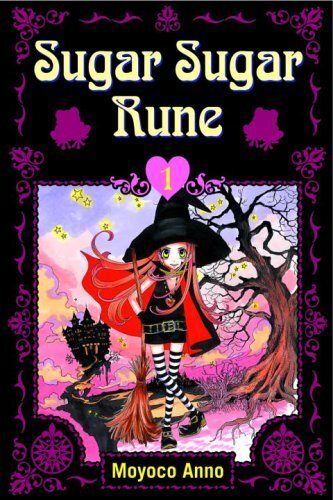 The manga was written and illustrated by Moyoco Anno, whose work Sakuran I reviewed back in 2013. Overweight office lady Noko Hanazawa claims to have come to terms with the idea that she is, and always will be, fat. Despite growing up being scrutinized for her weight, Noko learned to brush off the harsh comments, and uses food as a means of comforting herself from stress. Although Noko’s life is still less-than-ideal, she managed to carve herself a friendly niche among her female coworkers, and secure an eight-year relationship with her handsome boyfriend Saito. Things quickly take a turn for the worse when Noko sees her sadistic coworker Mayumi hanging around Saito one evening. 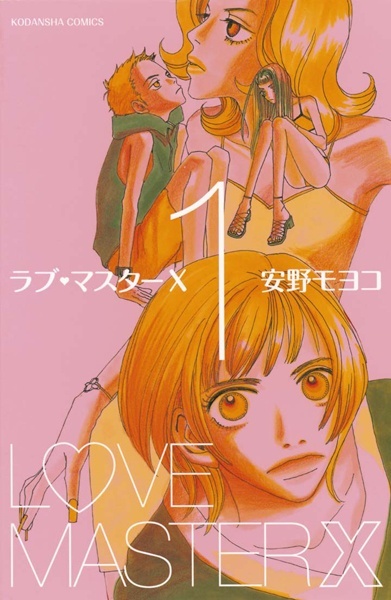 Believing that Saito now wants to cheat on her because of her weight, Noko scrambles for solutions to win Saito back, and ultimately settles on an expensive plan from a weight loss center. After getting demoted for smashing up her coworkers’ lockers in frustration, and hearing Mayumi graphically taunt her for stealing Saito, Noko descends into psychological distress, believing that losing weight will be the ultimate solution to her problems. On the flip side of things, Mayumi grows more and more amused by Noko’s suffering, and begins to formulate bigger plans to torment her, while Saito’s true reasons for continuing to date Noko come to fruition. In Clothes Called Fat is an unrestricted examination into aspects of Japanese beauty and social standards, as well as a blunt depiction of eating disorders and surrounding emotional distress. Anno pulls no punches in depicting the harsh bullying Noko is subjected to, as well as her psychological struggle when her self-esteem begins to plummet. Noko’s piling misfortunes as well as her desperation to lose weight and regain what little happiness she had managed to obtain makes for a compelling read, and Anno avoids making the story feel like a sadist tale about a woman struggling and failing with life. Additionally, Anno’s handle on portraying eating disorders, namely binge eating disorder and bulimia, seems to be well-researched and portrayed in a disturbingly accurate manner. 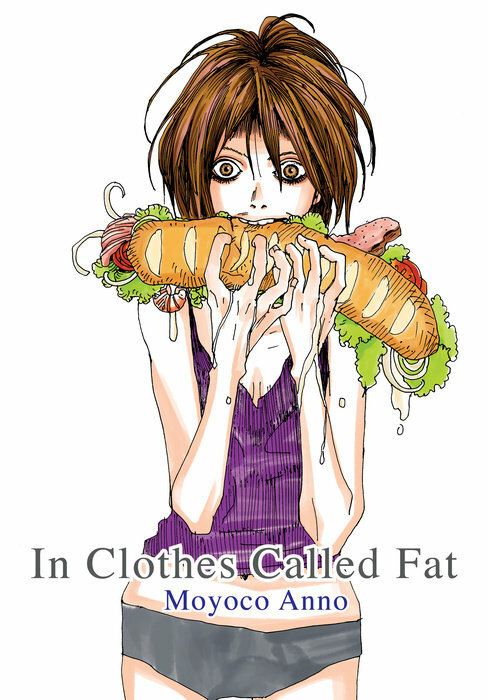 At times, In Clothes Called Fat was a difficult manga for me to fully understand. At first it seemed that the manga was leaving a “losing weight is not a be-all, end-all to your problems” message, which is hammered into Noko when she finally drops a good deal of weight, only to find that Saito is disgusted with her and Mayumi continues to harass her. Unfortunately, Noko’s extreme circumstances twist the message into “losing weight is not a be-all, end-all to your solutions especially when your coworker is a sadistic monster and your boyfriend is an insecure jackass who doesn’t actually love you”. If Anno was trying to have a meta-message in her manga regarding social standards, it’s difficult to understand with how inconsistent the story is at portraying this message. 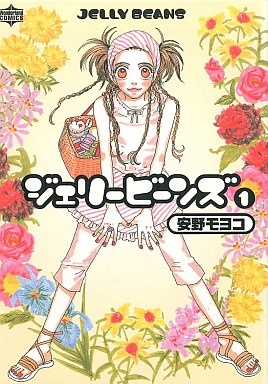 Furthermore, the manga’s ending may leave a bitter taste’s in reader’s mouths, as it leaves certain issues (such as Noko never learning that Saito was dating her to mask his own insecurities) unresolved and emphasizes that Noko still needs a good deal of help to recover from her mental distress, but may not actually receive it. While this ending isn’t necessarily bad in itself, it contributes further to the confusing message and critique attempted by the manga. Anno’s artwork in this manga is quite a step away from her later work in Sakuran. Anno’s line work in In Clothes Called Fat utilizes a more erratic and stylized art style, rather than the more detail and color-heavy spreads present in her later works. In particular, Anno’s early art style reminded me heavily of Kyoko Okazaki’s work; appropriate given that both mangaka created series with similar themes, and Anno herself worked with Okazaki for some time. My only big complaint with Anno’s art in this manga would be how she portrays Noko’s appearance. Noko is stated to be about 50 lbs overweight, yet she looks like she weighs twice that amount. Furthermore, Noko’s weight loss is portrayed as a very sudden and extreme change, as though she somehow managed to drop the weight in a week’s time which leads to her own coworkers not recognizing her. While this degree of artistic license was likely used for the purpose of keeping the plot’s pacing up, it is a bit distracting at certain points in the story. Pros: A haunting and fascinating portrayal of a woman’s weight struggle under a society’s harsh standards. The story’s illustration of eating disorders, specifically binge eating disorder and bulimia, is never watered down and is shown quite realistically. Anno’s stylized, Kyoko Okazaki-influenced artwork reflects the erratic and disturbing nature of the story quite well. Cons: The manga’s overall message (if there is one) seems inconsistent by the time the story ends. The ending leaves certain aspects of the story unresolved and gives off a general feeling of bitter detachment. Anno’s art style has some issues depicting Noko’s overweight appearance and subsequent weight loss. Anno’s harsh depiction of bullying and portrayal of eating disorders may make certain readers uncomfortable. In Clothes Called Fat is published in the U.S. by Vertical Inc. While In Clothes Called Fat is by no means an easy read, it is definitely an intriguing one, showcasing a deeper look into beauty and social ideals present in Japanese society that isn’t frequently explored in manga. I would highly recommend In Clothes Called Fat to readers seeking a more mature perspective on women’s personal struggles. Tags: 1997, Drama, Moyoco Anno, Vertical Inc.